Republican U.S. Rep. Will Hurd disavowed Donald Trump while fighting to hold onto his seat in the state's only competitive Congressional race. Now, not so much. U.S. Rep. Will Hurd, R-Helotes, is ready to work with Donald Trump after a bruising battle for re-election that saw him fully distance himself from his party's presidential nominee. "I think the reality is this: We have a real opportunity to do some good things for the United States of America," Hurd said in an interview Thursday, citing tax reform and health care as two areas where Trump can expect to have an ally in the congressman. "These are big things." But Hurd hinted that he was not taking all of Trump's proposals at face value, waiting to see how they play out as his administration takes shape — and promising to challenge Trump when necessary. Asked about his campaign pledge to stand up to whomever the next president is, Hurd said his "opinions haven't changed and so I'm going to continue to advocate for those things that are good for the district." "Campaign rhetoric and policy positions are two very different things," Hurd said, noting that he has been excited by the foreign policy and national security teams Trump has assembled so far. "It’s hard — I’m not going to talk about next year vis-a-vis things that were said on Twitter. We’re going to talk about what are the real policy positions and what are some of these next leaders in the executive branch going to push." One area where Hurd said he sees opportunity under Trump is the North American Free Trade Agreement. Trump has denounced such trade deals as bad for American workers — in some cases pledging to dismantle them — but Hurd said he looks forward to "being able to help with NAFTA 2.0 and upgrading NAFTA to a point where we strengthen North American competitive in other parts of the world." Hurd spent part of last week holding meetings with business leaders and government officials in Mexico, and he said there was agreement NAFTA could be improved. As an example, Hurd pointed out that the internet did not even exist when the agreement went into effect more than two decades ago. Hurd spoke with the Tribune for the first time since winning his rematch with Alpine Democrat Pete Gallego in Texas' 23rd Congressional District, which stretches from El Paso to San Antonio and covers hundreds of miles of U.S.-Mexico border in between. It was Texas' only competitive congressional race this year, and Hurd defeated Gallego by about 3,000 votes in an election in which 228,965 were cast. "The fact that Hillary Clinton won by four points and we won by two is a sign [of] what we have been saying over the last couple years – that hard work pays off," Hurd said. His constituents, he added, have "seen a level of service in the past two years that they haven’t seen in over a decade." Trump had loomed large in the race, with Democrats proving relentless in their efforts to tie Hurd to his party's controversial nominee. Hurd had never endorsed Trump but did not fully disavow him until a month before Election Day, following the release of a 2005 tape showing Trump speaking lewdly about women. At that point, Hurd called on Trump to "step aside for a true conservative to beat Hillary Clinton." Throughout the campaign, Hurd expressed skepticism about Trump's signature proposal to build a wall along the U.S.-Mexico border, saying that constructing a barrier "from sea to shining sea" would be the least-effective way to secure the border. On Thursday, he again sounded wary of such broad policy prescriptions. "When you talk about border security, you cannot have a one-size-fits-all solution across the border," said Hurd, who has previously voiced support for walls in some places along the border. "What you need in San Diego is very different than what you need in Del Rio." When it came to border security, Hurd instead urged a focus on collecting more intelligence on criminal organizations in Mexico so the United States can address "more of the problem before it gets to our border." He also spoke of the need for efficiency at ports of entry across the border, which frees up authorities to spend more time tackling illegal trade. Trump has yet to name someone to lead the Department of Homeland Security, but Hurd vouched for one fellow Texas Republican under consideration: U.S. Rep. Michael McCaul of Austin. Hurd called McCaul, who chairs the House Committee on Homeland Security, a "fantastic choice" for the Cabinet job. "Having a Texan in that role, I think, is important, and having a guy like Mike, who’s spent so much time, energy and effort into protecting our nation’s borders, would be a great thing as well," said Hurd, who also mentioned former Gov. Rick Perry as a Texan he would like to see working in Trump's Washington. Among the appointments Trump has already made, Hurd offered praise for U.S. Rep. Mike Pompeo of Kansas, the president-elect's nominee to serve as CIA director. Hurd, a former undercover CIA officer, said Pompeo is a "very thoughtful, pragmatic person who is going to focus on the health and well-being of CIA officers, and his understanding of how the political piece of intelligence works is important." It likely will not be long before CD-23 is again in the crosshairs of national Democrats eager to flip the perennial swing seat. To oversee 2018 election efforts for House Republicans, Hurd recently supported Ohio's Steve Stivers over a fellow Texan, Roger Williams, saying Thursday that he had been impressed with Stivers' chairmanship of the Patriot Program, which aids the conference's most vulnerable incumbents. 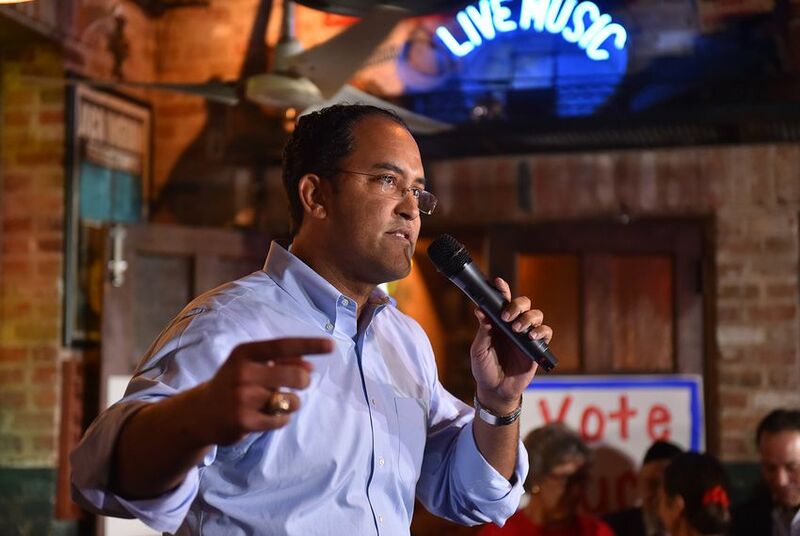 U.S. Rep. Will Hurd claimed victory in his re-election bid, becoming the first incumbent to hold onto the Texas 23rd District in eight years. In the state's only competitive congressional race, incumbent U.S. Rep. Will Hurd and challenger Pete Gallego pulled no punches in the final days of the campaign.